It wasn't long ago that the original Al Dente skis revolutionized the way we think about park skiing with their extra buttery flex and wider yet still park-specific profile. 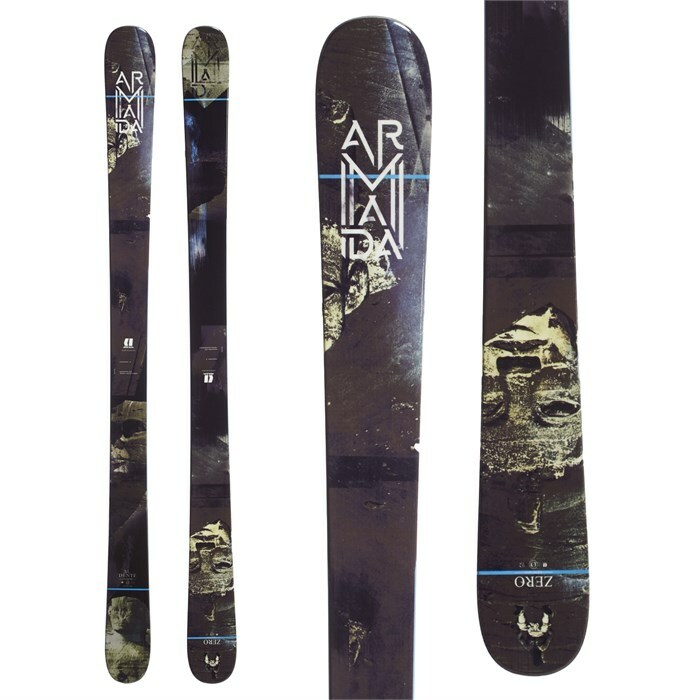 This year's exclusive Armada Al Dente Zero Skis continue building that legacy. Perfect for throwing slashes in the untouched side run snow, jibbing around on cat tracks, and then absolutely devouring the park all in the same run, these limited edition Armada Al Dente Zero Skis have a new construction derived from the Edollo with a supercharged layer of carbon for poppy yet playful fun all over the mountain. AR Nose Rocker  Traditional sidecut profile with tip rocker -- for all-mountain ripping. Power-Lite Core  Stability, power and control are paramount in this 100% woodcore enhanced with hardwood stringers. For those looking for the ultimate in smoothness. 2.2mm Impact Edge  Heat treated, built to avoid excess weight while maintaining durability.